Come and try our delicious Turkish food including kebabs, pita pockets, meats and salads for a meal packed full of value and flavour! Our team at Master Kebab have a range of authentic Turkish meals on offer to delight your taste buds. Sit down in our restaurant area. Master Kebab meals are packed full of flavour and great value for money! Salads - chicken, lamb, falafel (vegetarian). If you need just a little bit extra we have you covered! 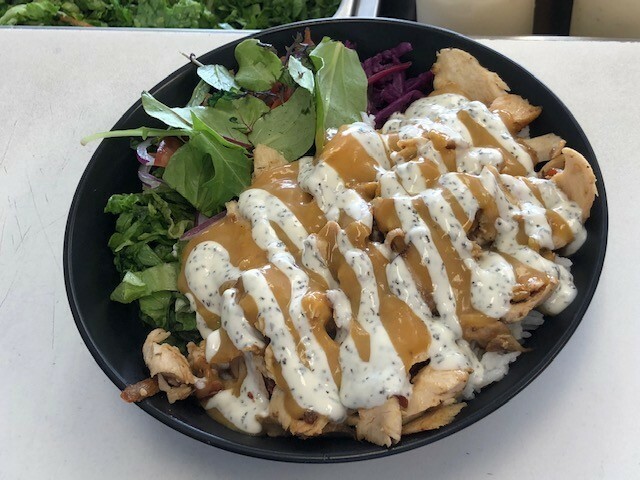 Looking for a restaurant or takeaway in Whitianga - come and enjoy a meal at Mater Kebab Whitianga! Download our menu to see our delicious menu choices. Phone orders are welcome!